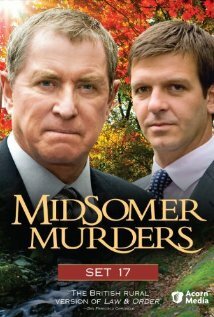 Plot: Fictional county of Midsummer, despite its idillic meadows, friendly pubs and picturesque villages, is a viciously murderous place. Veteran DCI Tom Barnaby and his dim-witted assistants pursue truth an justice. Pros: The essence of what it means to be English. Cons: You could drive a cadillac through the holes in the plot of some of the installments.